The Balkans have the potential to replace the United Kingdom in the European family after the Brexit, the Bulgarian Prime Minister said on 13 July in the Greek city Thessaloniki. Borissov is in Greece where he took part in a tripartite meeting with Greece’s Prime Minister Alexis Tsipras and Serbian President Aleksandar Vučić. Bulgaria and Greece gave their full support to Serbia on its way to the EU. "Thank you for your support on the path of the European course we have taken. We said that when we are united, the three countries are 10 times stronger," Vucic said. In the words of the three leaders, the Balkans are a risky region because of ethnic tensions and migration, but more needs to be done for the stability of the states. Greek Prime Minister Alexis Tsipras urged to resolve the issue with Macedonia's name more quickly. “We see the need to stabilize the situation in a neighbouring country, it is about Macedonia. 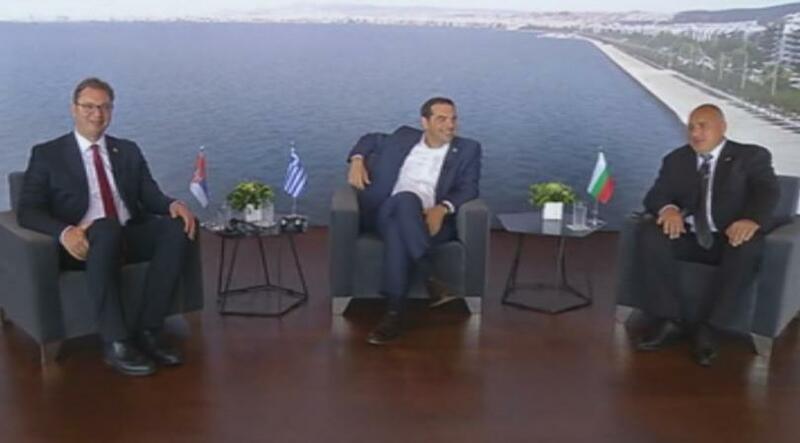 We agreed that there needs to be a meaningful dialogue on a solution to the name issue, which is a prerequisite for our support for the country's accession to the EU and NATO,” Alexis Tsipras, Prime Minister of Greece said. Borissov said that the Balkans had good potential to develop.